Yesterday was St. Patrick’s Day and last night at the Barclays Center, it sounded as if every Boston Celtics fan from New England was in attendance to root for the Celtics. It was so loud I’m surprised the players could hear each other on the floor. Unfortunately for the Nets, the luck of the Irish traveled with the Boston Celtics and their fans, as the Celtics pulled out a squeaker routing the Brooklyn Nets 98-95. It didn’t help that the Nets went scoreless for five minutes in the latter portion of the first quarter, ending that stanza 21-16. Brook Lopez started a rally for the Nets in the second quarter, coming out the gate scoring the team’s first five points. 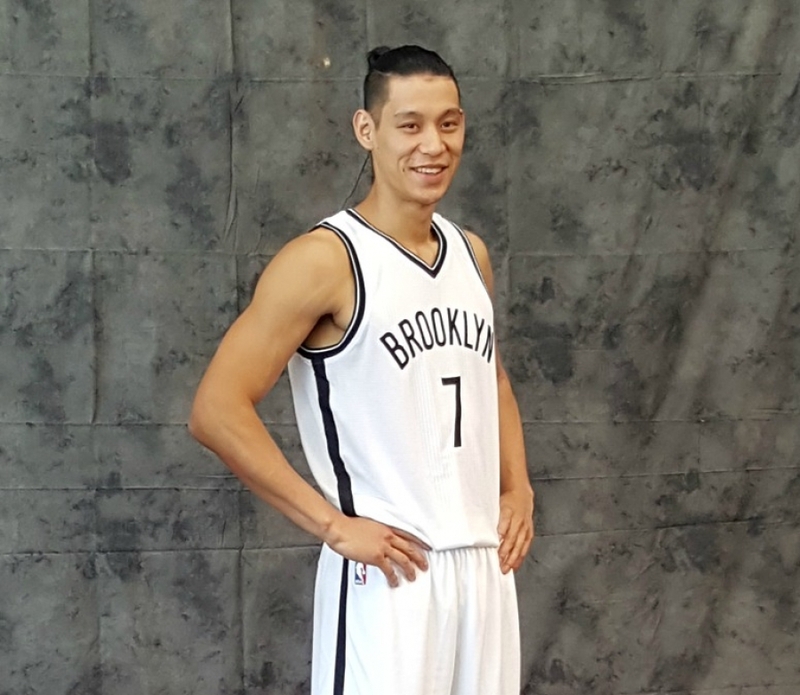 With a three-pointer, Jeremy Lin helped to create a 10-1 run. But that didn’t hold back the Celtics, they came roaring back with an 11-1 run led by Jae Crowder. The Nets stayed in the hunt until the last buzzer sounded. They ended the second quarter with an eight-point deficit (45-37), and the third with a six-point deficit (71-65). The Nets had two opportunities to tie up the game in the final nine seconds. 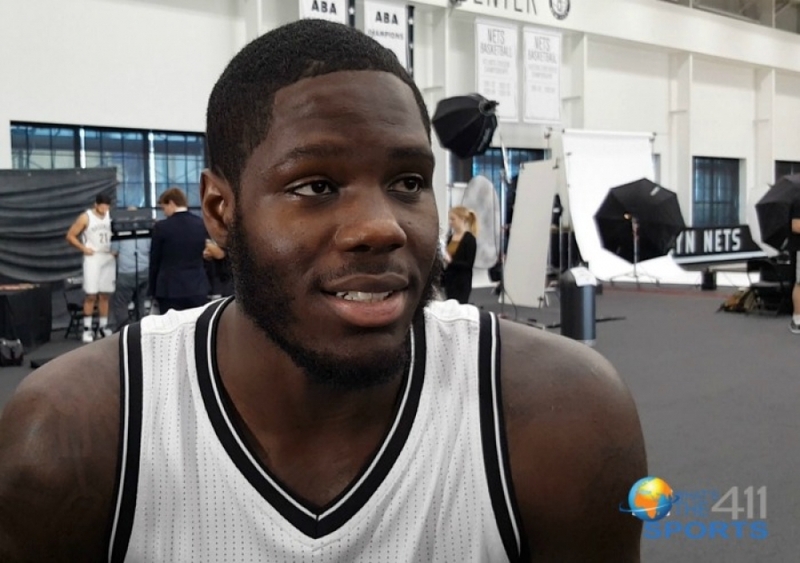 However, both Lopez and Quincy Acy missed three-pointers with seemingly good looks. 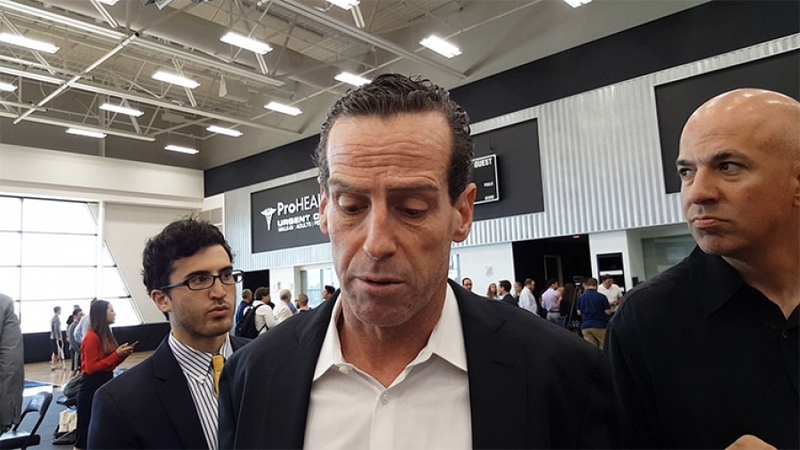 Brooklyn Nets head coach Kenny Atkinson saw a silver lining even in his team’s defeat against the Celtics who stand just two wins behind the Eastern Conference frontrunner, the Cleveland Cavaliers. Four of the five Celtics starters scored in double digits. Crowder led all scorers with 24 points and 12 rebounds. Avery Bradley scored 16 points and five rebounds; Al Horford added 14 points and eight rebounds; and Marcus Smart chipped in 12 points and five assists. Similar to the Celtics, four of the five Nets starters scored in double digits. Lopez had a team-high 23 points, five rebounds, and four assists. 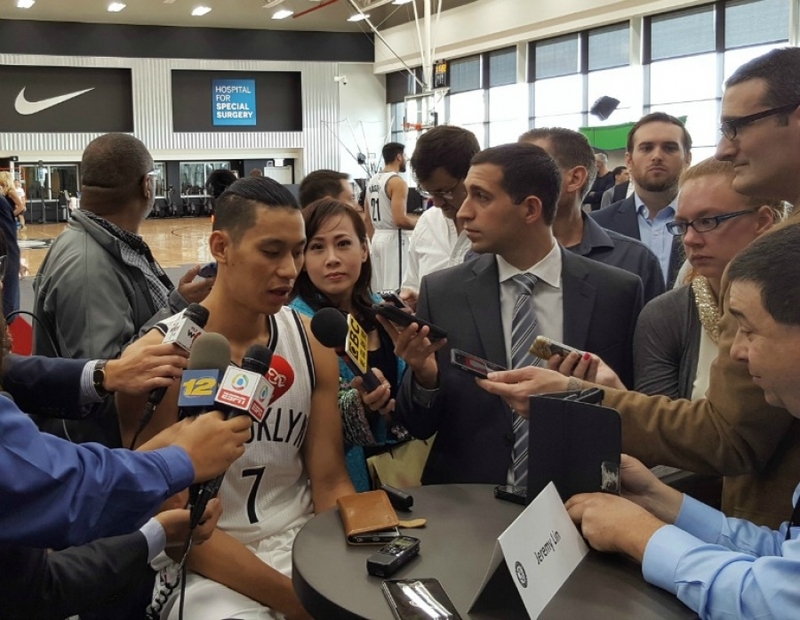 Randy Foye scored 14 points, Jeremy Lin and Rondae Hollis-Jefferson each scored 10 points with Lin adding seven rebounds and six assists, while Hollis-Jefferson chipped in 5 rebounds. Off the bench for the Nets, newcomer Andrew Nicholson scored 11 points, and Acy chipped in 10 points and eight rebounds. Next up, the Nets will play the Dallas Mavericks at home on Sunday. Unfortunately for the Brooklyn Nets, their Game 7 has come a game early. Down 3-2 in their 1st-round series against the Atlanta Hawks in this year’s NBA Playoffs, the Nets returned home, hosting the Atlanta Hawks for their Game 6, a possible closeout-game for the away team. Earlier in this series when the Nets backs were against the wall, they delivered. Down 2-0, the Nets tied this series up winning the next two games at home, highlighted by a 35-point outburst from Deron Williams in Game 4. But the Nets failed to win a pivotal Game 5, on the road and here we are. The Nets season is on the line and to force a Game 7, the Nets have no choice but to lay it all on the line like a Game 7 and Friday night, they failed to do so. The Hawks had their way with the Nets all game long en route to a 111-87 win, advancing to the second round to challenge the Washington Wizards, eliminating the Nets from the post-season. In tonight's contest, Paul Millsap led all scorers for the Hawks with 25 points (6 assists and 9 rebs) accompanied by DeMarre Carroll and Kyle Korver, who found success consistently, both scoring 20 each. As far as the Nets are concerned, as a team, this game got away from them in the 3rd quarter alone, which sealed their fate early in the second half. The Hawks scored the first seven points of the 3rd, extending what was a 51-45, six-point half-time lead to a 14-point, 59-45 lead, forcing a Nets timeout, through the first two minutes of the quarter. Deron Williams would answer with a trey, cutting the deficit to 11, 59-48, with less than nine minutes remaining in the quarter and then the Hawks retaliated with yet another run. "When it started happening (Hawks run), I called a time out," Hollins said post-game. "Then I called another time-out and you could just see they had the wave of momentum that they weren't going to let up." Kyle Korver and DeMarre Carroll would hit back-to-back three's and Al Horford would sink two consecutive buckets generating a 10-0 run, which ballooned their double-digit lead to 21, 69-48, forcing the second Nets timeout of the quarter in less than three minutes. And that 21-point lead continued to 26, as the Hawks shot 57.4% from the field in the 3rd alone, shutting out the Nets who struggled to keep up with the no.1 seeded Hawks, shooting 37.5%. In addition to their shooting woes, the Nets had a hard time taking care of the ball, committing five turnovers which aided the Hawks in scoring quick, easy baskets, contributing to their runs in the 3rd, routing the Nets in the process. "The thing that's been killing us turnovers," said Joe Johnson. "Each and every game, no matter what game, and especially again tonight, at the start of the third quarter we started off with three or four turnovers and they go on a 12-0 run. We never bounced back from that." The runs, early in the 3rd quarter by the Hawks sucked the life out of the Nets, and created a deficit that the home team was unable to cope with and the pace of the game, without a doubt favored the visiting Hawks. "We gotta stay being true to who we are and that's playing house basketball," said Carroll post-game. "That's getting up and down the court, and I think Jeff Teague did a good job of that even though he didn't score tonight." And they didn't need him to. Teague distributed the ball like a true floor general, collecting 13 assists, helping three Hawks to score 20+ points, almost four in Horford who finished with 18 points. The Nets on the other hand, didn't have a 35-point D-Will performance to lean on and as a team, lacked one 20-point scorer which defined their offense tonight. 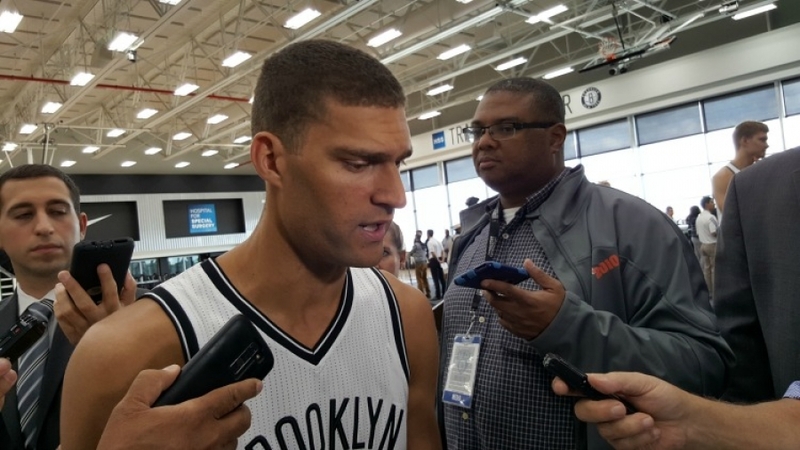 Brook Lopez led the Nets with 19 points, followed by 13 from Williams and 12 by Johnson. The Nets entered the final quarter down by 26-points, and with an uphill battle ahead of them, waved the white flag within time. At the 4:40 minute mark in the 4th, Hollins called a timeout subbing in Jerome Jordan, Darius Morris and Earl Clark for Williams, Johnson and Mason Plumlee and you didn't need a basketball analyst to know that this Nets season has come to a close. Those subs were drowned out by the boos that filled the Barclays Center and to begin the quarter the PA announcer didn't even bother addressing the crowd, a home-game ritual where he asks Brooklyn to stand-up. The Hawks were focused and the Nets couldn't match the level of play necessary to force a Game 7. "They were the better team and they showed it in the last game here," Hollins said during his post-game press conference which is the painful truth. Only three teams in NBA history have successfully upset a no.1 team in the NBA playoffs (94 Nuggets, 99 Knicks, 07 Warriors) and like father time, history is undefeated also. In closing, Hollins reflected on the season expressing his gratitude to the players he's coached and also shared his thoughts on the immediate future. "We'll have to collect our thoughts and get ready for the summer," Hollins said. "It is an important summer for our young players. We're going to attend two summer leagues and try to get some of our internal players better, then I'll get with Billy [King] and our front office and we'll talk about other needs." And those comments capped off a frustrating season leading into what could be an interesting off-season for the home-team, but most importantly there's always next year. Early Wednesday morning, Atlanta Hawks players Pero Antic and Thabo Sefolosha were arrested for obstruction of justice by the NYPD, in association with Indiana Pacers Chris Copeland, who is recovering from a stabbing incident outside of 1 Oak nightclub in Chelsea. Later that day, the Hawks were scheduled to visit the Brooklyn Nets after routing the Phoenix Suns, the previous day, 96-69. Even without two players that have helped the Hawks clinch the no.1 seed in the Eastern Conference, the remaining group of players posed a viable threat to the Nets, in terms of preventing the Nets from securing their sixth consecutive home win. And tonight, that's exactly what happened. The Hawks outlasted the Nets 114-111, executing late in the 4th quarter to seal their 59th win of the season. With the win, the Hawks are in position to be the second team in the NBA to reach 60+ wins, now (59-19) on the season, while the Nets fell to (36-42). To the Nets credit they were in this game and put themselves in a position to win. Their play tonight reflected how their 2014-15 season has played out thus far, with 5 games left in the regular season. This year, the Nets have battled injuries to their core players, Deron Williams and Brook Lopez, and have found a way to remain competitive enough to make the playoffs, even as a low seed. 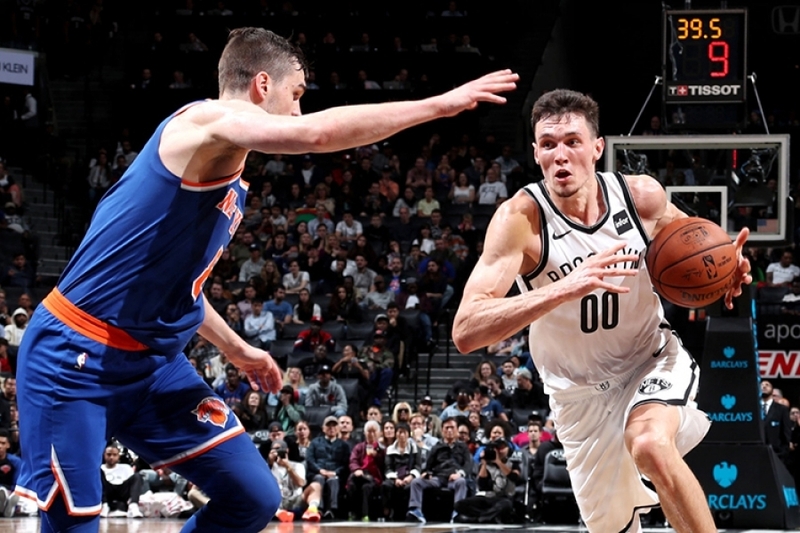 Tonight, the Nets battled back from numerous double-digit leads through-out the game and gave themselves, as well as, the sellout crowd of 17,732 in attendance, the chance for a home victory. In the first quarter, the Nets found themselves down 28-17, a run in which five Hawks: Dennis Schroder, Mike Muscala, DeMarre Carroll, Al Horford and Mike Scott all made a contribution. In the second, the Nets closed the gap that the Hawks generated in the first quarter, after a Bojan Bogdanovic layup +1 got the Nets to within one, down 47-46 with 4:41 left. It didn’t take long for an increased defensive stretch by the Hawks to lead to three fast break dunks courtesy of Scott and Horford, in addition to Jeff Teague attacking the rim which put the Hawks back up by ten, 59-49 around the 2-minute mark. "We got some open looks and made some big shots, and our defense got some steals to add to the break," Teague said following the win en route to a double-double 15 points and 12 assists in addition to four steals. 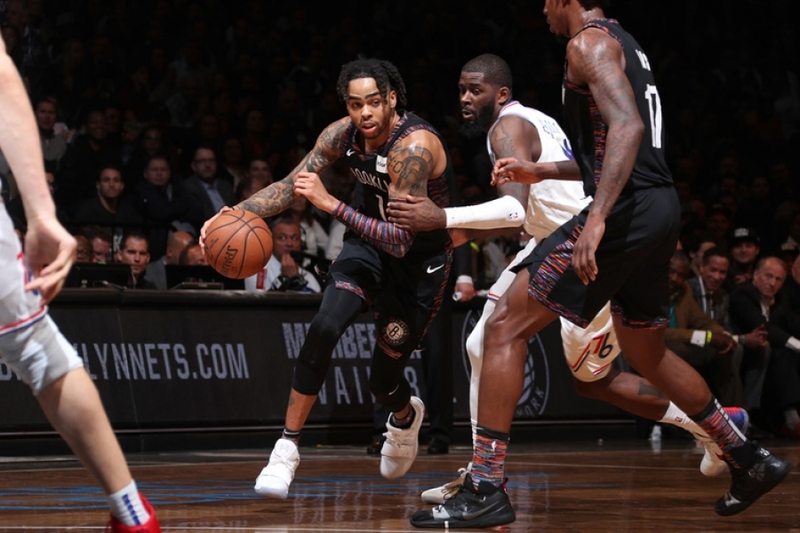 More of the same would continue in the third where the Nets fell behind by as many as 14 points late in the third, with the 4th and final quarter within the horizon, the quarter where the Nets would have to make their final bid for the win and they did. They presented a strong bid but in the end, not big enough to upend a team in position to win its first conference title since 1961 and fifth in franchise history. With the Nets down one with 1:38 to go till the end of regulation, a missed three-point attempt by Jarrett Jack allowed Brook Lopez, who was in position, three attempts at seizing the offensive rebound and converting the basket, all of 7-feet tall. 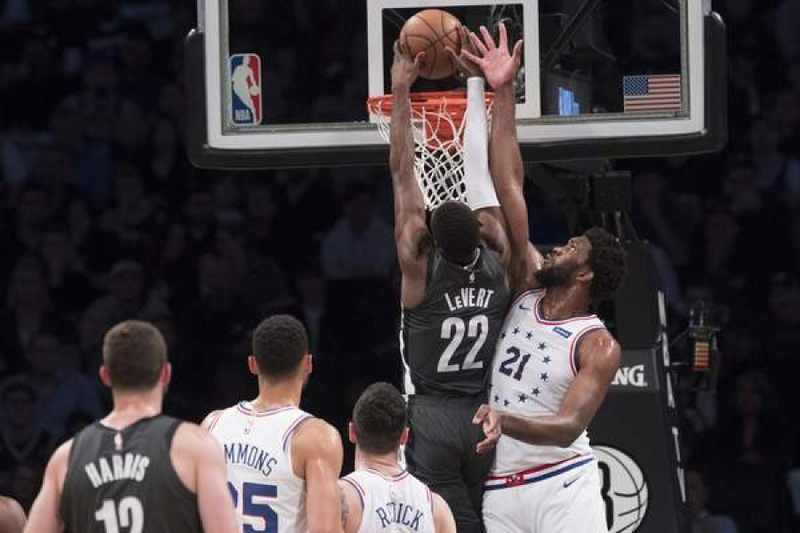 Lopez (26 points,10 rebounds) would miss three tip-ins, in point blank range, of course-thwarted by a gang of Hawks who zeroed in on the action, and the final opportunity grabbed by Thaddeus Young led to no avail, as he would miss his attempt to play hero. But instead, Williams who contributed a double-double in 10 points and 13 assists, became the hero, at least for a moment. Williams converted a driving, off the glass floater, giving the Nets a one point lead, 111-110 forcing a Hawks timeout with 33.5 seconds to go. Here, the Hawks showed why they are the no.1 seed and it only comes down to one important fact: they executed. In the next possession, the Hawks ran a curl play for probably the most feared shooter and three-point specialist in the league, Kyle Korver, who received the inbound pass. Korver noticed the extra help from the Nets particularly, Lopez who left Horford open and in the end, the Nets suffered the consequences as Korver found the big-man who quietly dunked, scoring his easiest two of the game giving his Hawks the go-ahead basket, up 112-111. "I was just kind of reacting, and I was expecting Kyle to shoot the ball," Horford said, scoring a team-high 24 points, following the win. "Kyle just made a great read." It’s what the good teams do. They win even when their backs are against the wall and unfortunately for the Nets, this loss meant the Hawks won the season series between the two, 4-0. If you like moral victories, the Nets lost this game by the lowest margin (3) opposed to the other three contest, which were all routs like last weekend’s 131-99 nightmare, and Williams shed light on that fact. "It's not really a moral victory," Williams said post-game. 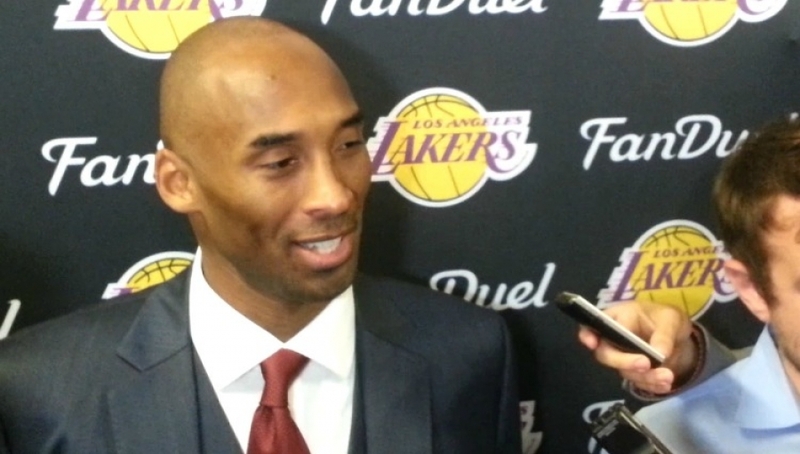 "I guess it is good because we pretty much got blown out by them every game before this one. It's a game we definitely wanted. It's a little disappointing how we started the game but we did finish well and we had our chances." They did and with this loss, the Hawks came in and halted the momentum the Nets have been gathering over the past couple of weeks. "I think it’s a good team win in a tough environment on the road," Hawks Head Coach Mike Budenholzer told the media, post-game. "You need to have some close games, you need to be tested and a lot of credit to Brooklyn for how they played. We feel fortunate to get a good win on the road." But a pat on the back won't do. The Nets should have and could have won this game but that won't settle the unrest within the team's collective psyche. 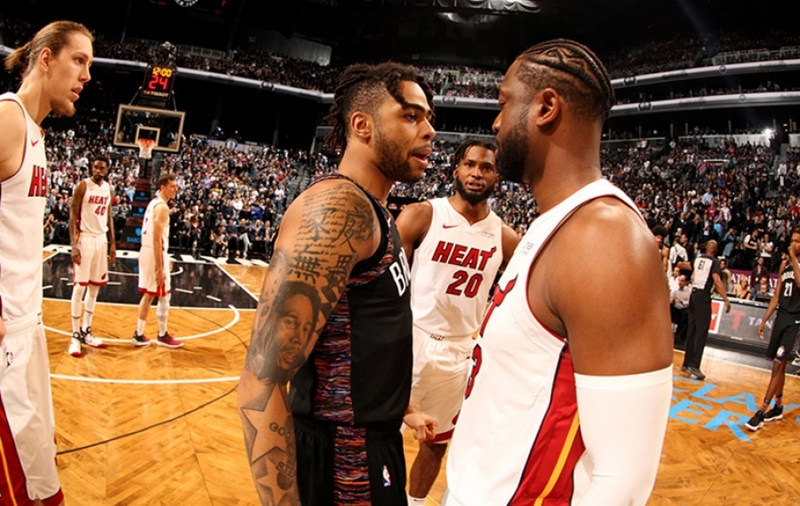 This would've been a great win in proving to themselves that they can beat the best team in the east and now the Nets are left wondering whether or not they even have a shot against this team if they were to meet in the first round of the playoffs starting next weekend. The 0-4 season sweep by the Hawks does not offer confidence, and this loss drops the Nets back to the 8th and final spot, only a game ahead of the Indiana Pacers (35-43), who just received their star, Paul George, back from the compound fracture he suffered during the Las Vegas scrimmage this past summer for Team USA. The Nets have four games left in the season. This Friday, they will host the Washington Wizards, travel to Milwaukee to take on the Bucks on Sunday and then finish the season hosting the Chicago Bulls on Monday and the Orlando Magic on Wednesday. The Nets can't look ahead or to any of the teams aiming for their spot. They have to handle their business because if not, owner Mikhail Prokhorov, who addressed the media before tip-off will. "I will do my best in order to find the opportunity to reach our common goal," Prokhorov expressed when asked about the team’s future. "You know that if you analyze a championship team, 20 percent of it is draft picks and 80 percent are trades. So now we have talent, and I am sure that our front office is good enough and have a great eye to find some balance in order to improve our team if we need." Sounds like somebody who means business.